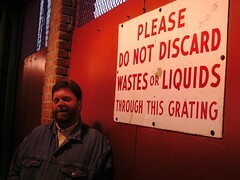 I am very sorry to report that Nashville legend Buddy Killen passed away today of liver and pancreatic cancer. He was 73 years old. You will read all over the news and everything that he was the man who discovered Dolly Parton. He was so much more than that. His Tree Publishing Company's catalogue included songs like Heartbreak Hotel, Funny How Time Slips Away, King Of the Road, Hello Walls, I Stopped Loving Her Today, Crazy, Green Green Grass Of Home... songs that were the very backbone of 'music row'. But he was more than that as well. As a producer, he was one of a handful of men that created that big fat Nashville sound. A perfectionist in the studio, he wasn't happy until he built his own in the early seventies, the fabled Soundshop. The list of artists that have recorded there over the years just boggles the mind... but he was more than a producer, too. As a 'color-blind' visionary in 1961, he started his own record company as a vehicle for Joe Tex, a man whose talent he believed in even more than Joe himself did. 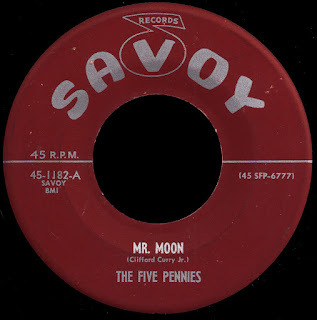 His Dial label would go on to produce some of the great hidden gems of Southern Soul. Today's selection is one of those. 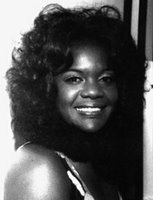 Annette Snell, a Miami native, was a member of The Fabulettes, a 'girl group' that recorded for Fred Foster's Monument and Sound Stage 7 labels in 1965 and '66. She had gotten her start as a member of a Florida outfit called the Mar-Vells that had been laying down background vocals in Miami studios as early as 1960. That was where she met Paul Kelly. 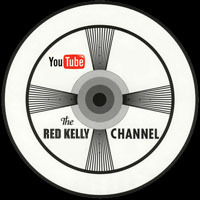 Kelly had come up as a member of Miami bands like the Valadeers and the Del-Mires. Buddy Killen had signed him and fellow Del-Mire Clarence Reid to Dial in 1964. 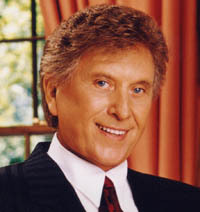 Killen would produce some of his best records on Paul, not only for Dial, but for Warner Brothers in the early seventies as well. Kelly had taken Annette Snell with him to New York in 1968, on a trip to shop some demos of songs he had written. She cut one of those songs, Since There Is No More You for the small Love Hill label under the name "Annetta". The record, although leased by Juggy Murray for national distribution, didn't make much noise. Paul brought her to the attention of Killen, who was suitably impressed. The amazing song you're listening to now was recorded at The Soundshop with both Kelly and Killen producing. It doesn't get much better than this, soul fans, let me tell ya! 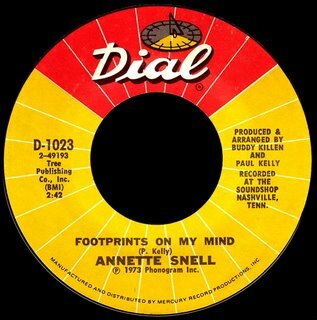 Dial first released it as the A side of I'll Be Your Fool Once More in 1972, and again as this B side of You Oughta Be Here With Me the following year, which would break into the R&B top 20 in the fall of 1973. Get Your Thing Together would follow, and reach the top 50 in early 1974. Just As Hooked As I've Ever Been would crack the Hot 100 later that year, and be the last tune she would wax for the label. All had been written by Kelly. Buddy Killen knew a good song when he heard it, and he knew how to turn those songs into great records. His was a rare gift that we won't see again any time soon, my friends. He was what they call 'the real thing'. That is sad news. Buddy Killen lived a life of great achievement and left the world richer. Mar-Vells were their local South-Florida name, Monument/SS7 made them use Fabulettes. afaik. This site caught me off guard. I played bass for The Fabulettes the summer of 1969 at The Castaways Wreck Bar on Miami Beach and went with them to a Dallas bar called "Here's To The Losers" on Mockingbird Lane. It was a fun and often stormy summer, thanks for dusting off some old memories. Is this typical Press misinformation? Dolly Parton first recorded for Goldband in Louisiana and then Mercury later. Wow this is great site. I am Spider Harrison, America's DJ and work at WLAC, Nashville in the 70's and early 80's. The station that could be heard in 28 states. I met and miss Buddy Killen,and talk with Paul Kelly just a few months ago. 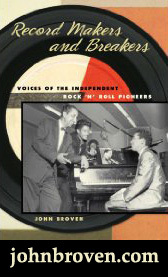 All my memories of WLAC, Nashville will be in the book Blues-Rock & News/WLAC-Randy's Radio. Through Warner Bros. record promoter Daivd Banks I met Paul Kelly in Indianapolis while programming WTLC-FM. Of course I remember and played the music by Annette Snell. Stay Well everybody. I'd love to learn more about Annette too!